Stories shape us, and we shape stories—about ourselves, about others. 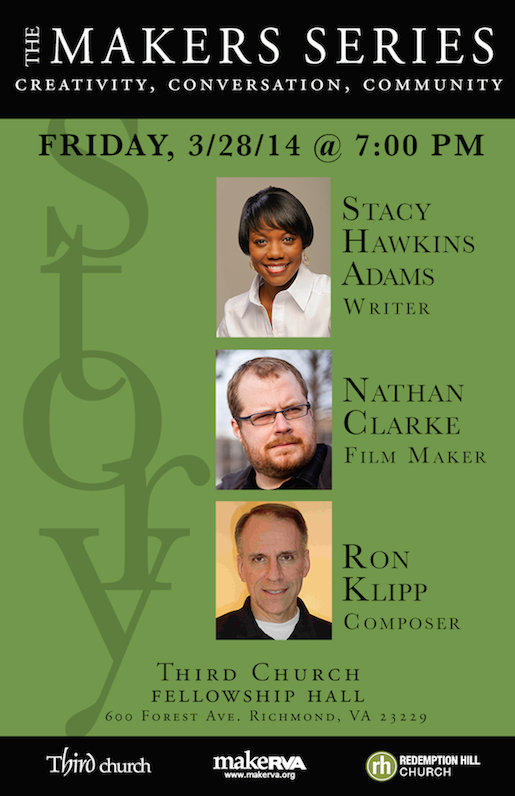 Join us for the next Makers Series evening on Friday, March 28th, at 7:00 p.m. in the Fellowship Hall of Third Church at 600 Forest Ave, as writer Stacy Hawkins Adams, film-maker Nathan Clarke, and composer Ron Klipp present their work and discuss how they engage the power of narrative through their art. RSVP at the Facebook event page here.